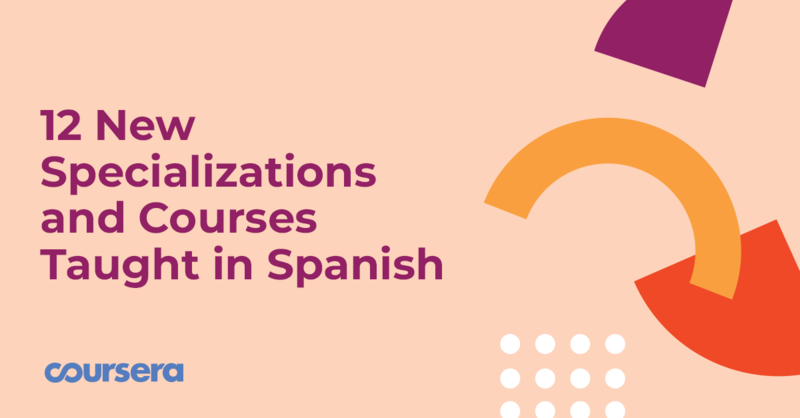 In celebration of Coursera en Espanol’s 3-year anniversary, we’re launching 100 new courses, including 20 Specializations, to prepare Spanish speakers for the jobs of the future. These courses, taught in Spanish, include topics like artificial intelligence, web development, data analysis and more. The full catalogue will be available on Coursera over the next few months. Can’t wait that long? Here are 12 new Specializations and courses that are already available to get you started.